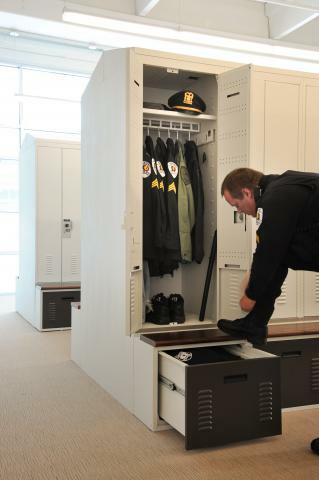 The LockerStor Equipment Storage solution for law enforcement professionals is our Personal Gear Lockers used for duty bag storage, uniform storage, body armor storage, weapon storage, and anything else you use on the job. 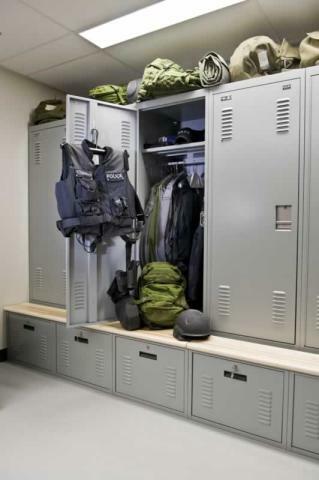 With sizes that fit your space, configurations that meet your demands and accessories that change with your needs, Personal Gear Lockers will meet your equipment storage requirements. 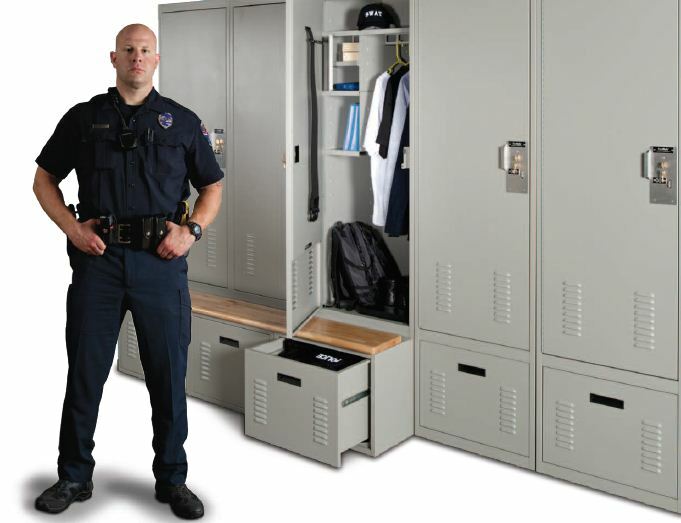 Each Personal Gear Locker offers at least a full 24 inches of depth, to provide ample space for hanging uniforms and bulky clothes without bending hangers. 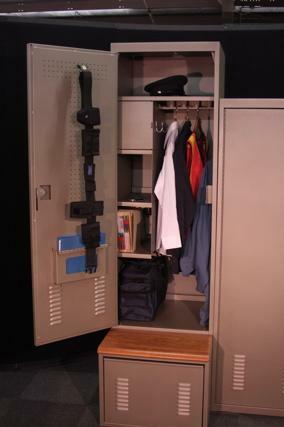 Personal Gear Lockers are available in widths, ranging from 12 to 36 inches. 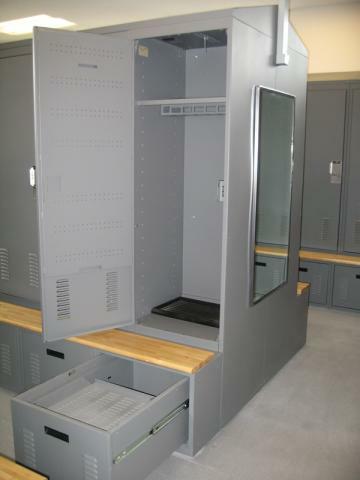 In addition each Personal Gear Locker is finished in high-quality powder coat paint and features heavy-gauge CRS steel, welded body construction and continuous hinges on the main door. 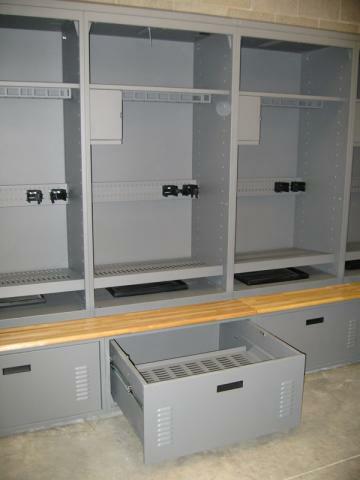 Lockers are available in dimensions with heights from 72-90 inches and widths from 12-36 inches. 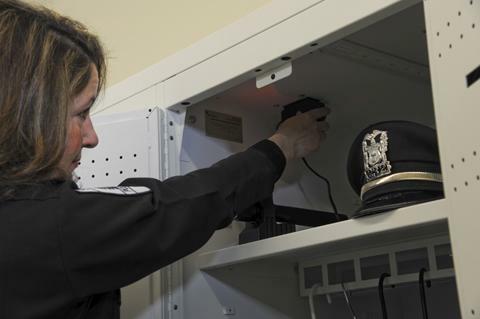 Modular electrical components provide duplex outlets for powering and charging electronic devices. Document holder door-mounting allows easy access to documents and notebooks. 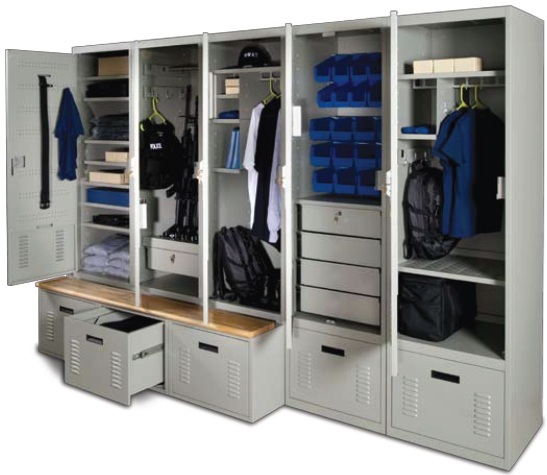 Add a modular shelf, available in 12 inches and 24 inches with file divider kits to Personal Gear Lockers for further compartmentalization and customization. Add single hooks to the side of the modular shelf or a double-hook to the bottom for more hanging storage. 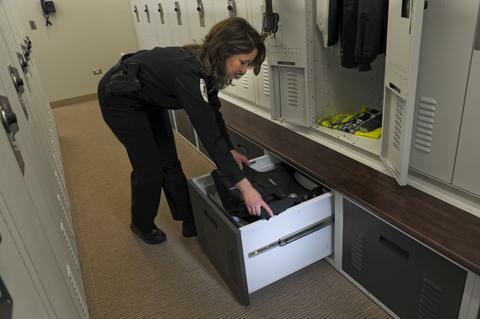 6 and 9 inch high internal drawers offer more custom space, and are available in locking or non-locking configurations. An adjustable shelf is available in standard and heavy duty capacities for storing everything from clothing to ammunition. 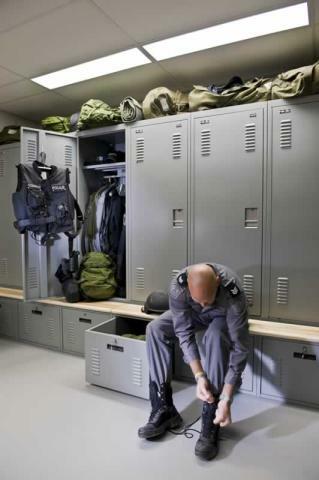 A 3-hook bracket can be moved up and down, and from one side of the Personal Gear Locker to another. 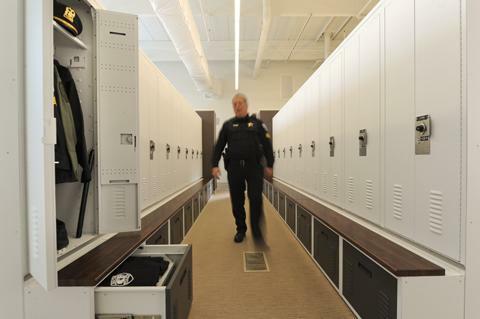 Lock options for the gear lockers include hasp only for pad lock, keyed lock or combination lock. Adding a solid butcher block maple bench provides durability and good looks. 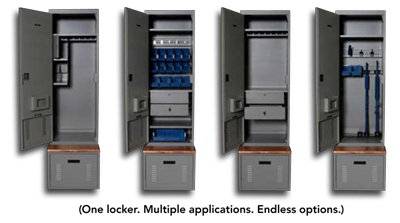 All bench and external access drawers automatically lock and unlock with the door. These drawers feature 200 lb. ball bearing slides.